MLS# 180061009 - 13859 Clatsop Way, San Diego, CA 92129 - Abacus Properties Inc. Courtesy of HomeSmart Realty West, Trieu Truong. 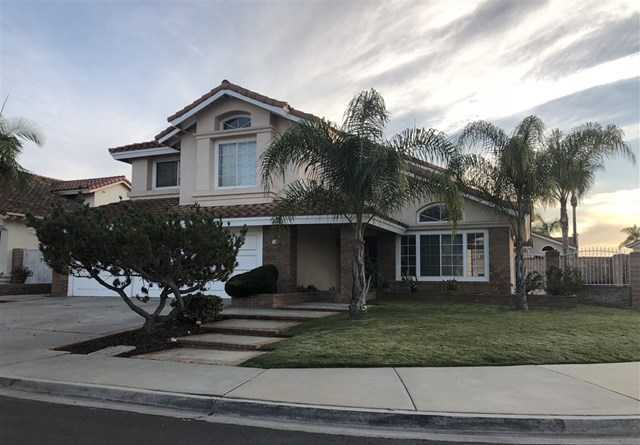 Rare opportunity for a beautiful home in the coveted Crestmont community in Rancho Penasquitos with no Mello Roos on a quaint street with very little traffic. Home has been refreshed with neutral light colors and many upgrades. Great flow with a bedroom and full bath downstairs. Sits on a large corner lot with sparkling pool and clean yard that’s ready for your landscaping vision. Very close to schools (Poway Unified School District), parks, shopping, and highways. Come and fall in love! Please, send me more information on this property: MLS# 180061009 – $910,000 – 13859 Clatsop Way, San Diego, CA 92129. I would like to schedule a private showing for this property: MLS# 180061009 – $910,000 – 13859 Clatsop Way, San Diego, CA 92129.